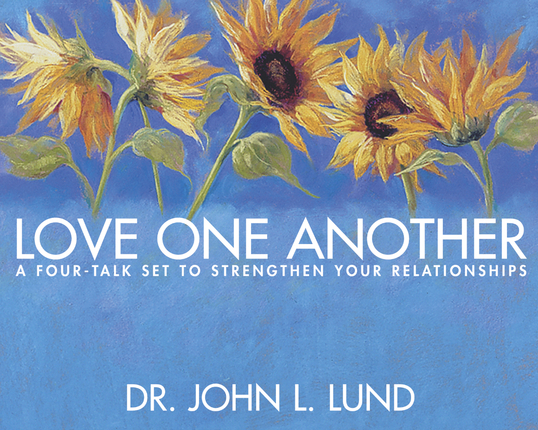 In this four-talk set, popular speaker and author, Dr. John L. Lund shares his wealth of knowledge, insight, and humor on the topic of improving ourselves and our relationships. He teaches us to focus on things that are within our control. "As human beings we need to love and to be loved. Many of us spend much of our time trying to be loved, yet we have zero control over being loved. But we have 100% of control over loving other people. So, where should we put our energies? We need to find satisfaction and joy in loving other people." Love One Another is a rich resource for anyone seeking to more fully follow the Savior, Jesus Christ. I love this talk! I'm so glad that I own a copy of it so that I can listen to it over and over again until I have these concepts memorized, and applied. 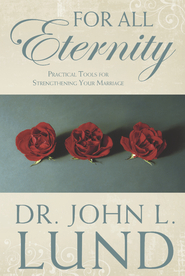 I am very familiar with many of his talks, but this one was especially helpful to me and taught me new concepts in a new way that I really needed to hear. It helped me to realize my role in my relationships, what I can control and what I can't (or shouldn't try to, anyway), and how I can best love and help those around me. 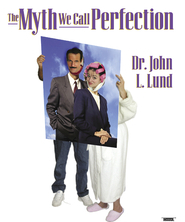 Thank you Dr. Lund for teaching me true principles to improve myself and all of my relationships!